Nobel laureate Harry Kroto was more than just a scientist—he was a mentor. The scientist who passed away earlier this week was more than a chemist—he was an advocate and a mentor, too. 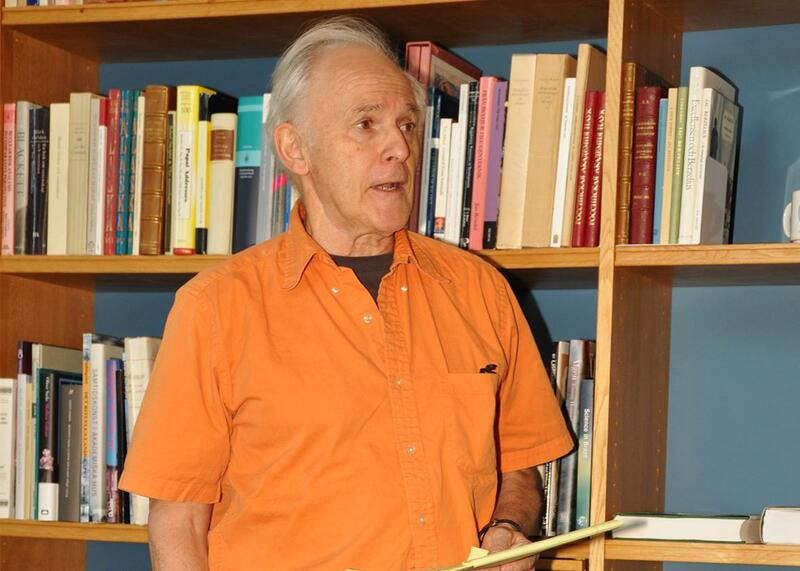 Harry Kroto discussing climate change in 2011 in Stockholm. Kroto was my champion. When I was 17 years old, I found his email online and asked him for help. I wanted to fight Louisiana’s creationism law, a law that allows public school science teachers to attack evolution. Kroto knew nothing about me, a high school student in Louisiana. “What’s your phone number?” he answered. Kroto was never content to only change the world through his research. He understood that his success had given him an outsized megaphone, so he used it. He was a relentless fighter for the causes he believed in, from helping defend science to organizing a protest of Russia’s “gay propaganda” ban (which criminalized even acknowledging homosexuality in Russia) with his friend, actor Sir Ian McKellen. He consistently opposed anything, and everything, done by Rupert Murdoch, the conservative media magnate, summing up his problems with Murdoch to the New Zealand Herald: “He has no ethics whatsoever,” he said. “He’s politically influential and he has no real social responsibility.” Harry, on the other hand, knew his responsibilities deeply. There was “just too much to do,” Harry said, the last time we spoke. He had the world on his shoulders, especially when it came to science. He fought for increased funding for basic scientific research, and also against creationism—not just in Louisiana but also in his adopted state of Florida, where he was a professor at Florida State University in Tallahassee. He was always trying to teach young people how to better communicate science, from helping them internalize the basic facts to giving them tips on how to keep an audience. Who will be our champion, now? But, really, it was Harry’s sticker. After the first time we spoke, he mailed me a box of books and several hundred of these stickers to pass out to Louisiana politicians. He’d designed them himself. (Graphic design was one of his hobbies.) Ever since, they’d decorated my cars, computers, and walls. I was going to email Kroto, too. I just wanted to tell him that people were still getting his message, and still proudly waving the flag of science, even in Louisiana. That we were still fighting for social responsibility and science. But, I didn’t. It got lost in the stack of other messages that needed to be sent. I thought there was more time. Kroto wasn’t religious. He’s not out there watching over us. But, his life’s work is still with us, the science, and everything else. I wish there was one more chance to tell him how he inspired us. We’re keeping the faith, Harry. For lack of any better words, we’re keeping the faith.